The history of psychedelics involves various periods of experimentation for therapeutic and medical uses as well as recreational use and abuse. Used throughout the centuries for a wide range of purposes, psychedelic drugs continue to hold an air of mystique in spite of their somewhat dangerous properties. The history of psychedelics reaches back as far as 5,000 years by some accounts, while psychedelic drugs have only just recently become an area of interest within the field of science. In spite of certain safety considerations, the history of psychedelics may offer clues as to how these powerful hallucinogens can be used for medicinal purposes. 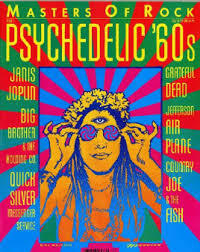 Psychedelics had a prominent role in the hippie counter-culture of the 1960s. Psychedelics are known for their ability to alter conscious perception, and sometimes produce what seems like transcendent experiences. Throughout the history of psychedelics, these effects have been put to use in religious ceremonies as well as for recreational purposes. The early history of psychedelics centers around the use of naturally occurring substances, such as plants, cacti and mushrooms. For thousands of years, psychedelic drugs have played central roles in religious ceremonies as well as having been used for medicinal purposes. According to Bryn Mawr College, Native American cultures valued the effects of psychedelic drugs as a ritualistic practice carried out during sacred ceremonies. Fossil finds dated as old as 10,000 years offer actual scientific proof of the long history of psychedelics, according to a University of Cambridge report. Much like Native American culture, ancient cultures used psychedelics as part of their ritual ceremonies. Psychedelic played such a central role in indigenous cultures that rock paintings of mushrooms from 7,000 BC were portrayed as mushroom deities and labeled as the “Flesh of God.”Fossil evidence shows psychedelics playing an important role in the development of human society as a valued part of many cultures over the past 5,000 years. It wasn’t until the 20th century that western scientists began to take an interest in psychedelic drug effects. A Swiss scientist by the name of Albert Hoffman first created LSD in a laboratory in an attempt to duplicate natural psychedelic substances. By the 1950s, LSD became a commonly used psychiatric treatment for a variety of conditions, some of which include alcoholism, schizophrenia and other personality disorders. Throughout the 1950s and 1960s, psychedelics were used in clinical studies within various psychotherapeutic approaches. By the 1960s, psychedelics saw widespread use within the hippie counterculture, with LSD becoming the most popular of all. Within the history of psychedelics, LSD use became a symbol of youthful rebellion, mind exploration and political dissent on college campuses across the United States. This widespread use of LSD soon caught the attention of federal and state governments, so much so that it was made an illegal substance in 1967. Within the U.S., the early 1970s saw an across-the-board ban on any scientific research involving psychedelic drugs. Possession and use of these drugs also became illegal. In the 1990s, LSD saw a resurgence in the form of ecstasy, the new “party” drug. During this time, government regulations also lifted bans on research studies that examined the medical safety and possible uses for psychedelics as medical treatments. This long history of psychedelic use for religious and medicinal purposes has ultimately paved the way for further investigation on the actual benefits of psychedelic drugs.